I had a website on Wix but I didn't like their blog feature. So I decided to take my domain and set it here at Blogger. I have been using Blogger for a while and wanted to go back. I had my blog on here a while ago, but left for WordPress. I'll have some posts about the games I have been playing recently very soon. 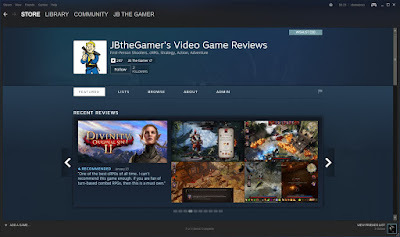 Welcome to JB The Gamer's blogger site.